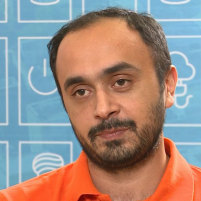 Albinder Dhindsa is a co-founder of Grofers, a hyperlocal logistics startup that offers on-demand, hyper-local deliveries from local merchants to consumers. He began his career as a transportation analyst at URS Corporation and continued the same for almost 2 years. In 2007, he moved to Cambridge Systematics as a senior associate. Dhindsa holds a Bachelor of Technology degree from Indian Institute of Technology, Delhi and an MBA from Columbia University - Columbia Business School.